Are you visiting Prague and it started raining heavily? Or worse, there’s a snowstorm? If you feel like abandoning your sightseeing plan and wonder what to do in Prague when it rains, you came to the right place. Fortunately there are a lot of indoor things to do in Prague, no matter whether you come in summer or winter. Prague’s weather can be unpredictable. There’s actually no time of year when it would be safe to say that you’re going to experience just sunny skies and comfortable temperatures. But that’s okay. This post is a work in progress. I’ll be adding new places to the list, as Prague is a vibrant city and new venues constantly keep popping up! Also, if you go to a place that’s awesome in the rain, please let me know and I’ll add it. For the places where you can go anytime (i.e. not for a performance that’s scheduled for a specific time), I’ll show you ideas what you can do around at your leisure. 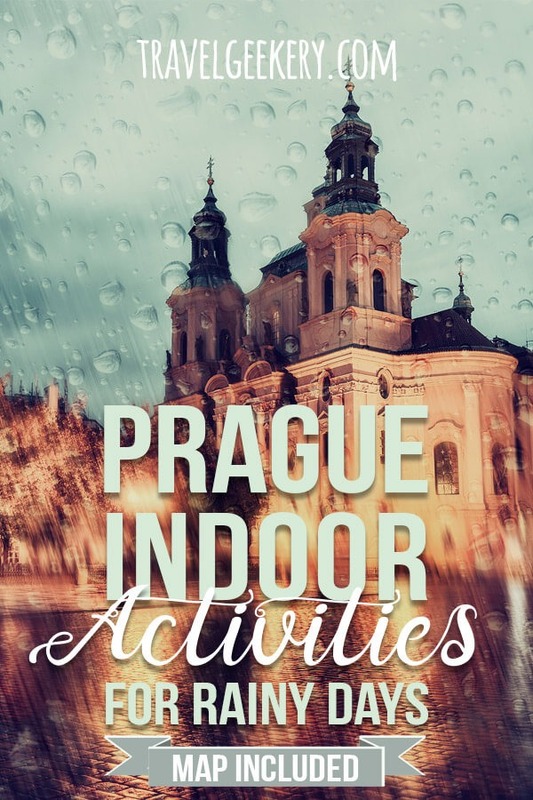 Without a further ado, let’s have a look at all the possible Prague indoor activities. Sip Beer in a Brewery or a Spa! With Prague breathing history, there’s no shortage of quality museums. In fact, you could easily spend around 3 days just visiting museums! 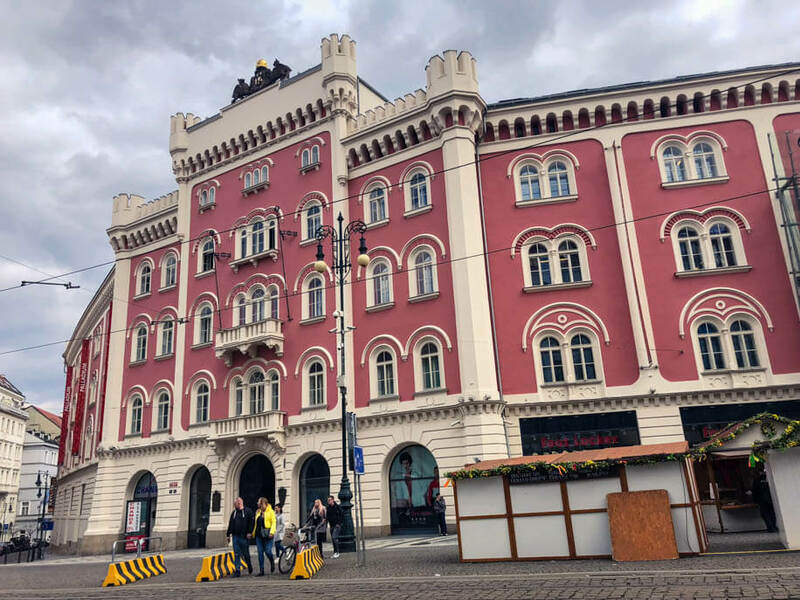 The historical building in the upper part of the Wenceslas Square has undergone a major reconstruction and while it opened its doors in October 2018 to match the timing of the celebration of 100 years of Czechoslovakia, some work is still being done inside. As of March 2019, the National Museum should reopen fully again, this time with access to previously inaccessible areas, including the building’s dome! So there will be a new viewpoint in the city. :) Not so useful in the rain, though. The stunning Neo-Renaissance building was built in 1891. But the institution of the National Museum has existed since 1818. The National Museum as a whole, including its many other buildings, is the oldest and largest museum in Bohemia and second in the whole Czech Republic. See an overview of the National Museum buildings as well as their current and permanent exhibitions here. When you’re at the National Museum, don’t forget to peek at the Wenceslas Square and the Statue of Wenceslas on a horse, a popular meeting spot for locals. Fun and interactive. That’s what I’ve been hearing about this museum from locals. I went to check it out actually mainly because of this article. :) And the museum didn’t disappoint! Permanent exhibitions feature transportation, architecture, astronomy, chemistry, mining and metallurgy and more. The museum is perfect as one of the top indoor things to do in Prague. See the Technical Museum’s website here. Since the nearby Park Letná is out of question when the weather gets nasty, let me send you to a tiny & chic café: Café Letka. It shares the entrance with a children’s theater Pidivadlo (which is otherwise unsuitable as a good rain activity for visitors to Prague, since the performances are in Czech). I hesitated whether to place this museum among museums or galleries. But it is, in fact, an art museum. A modern art museum, to be exact. 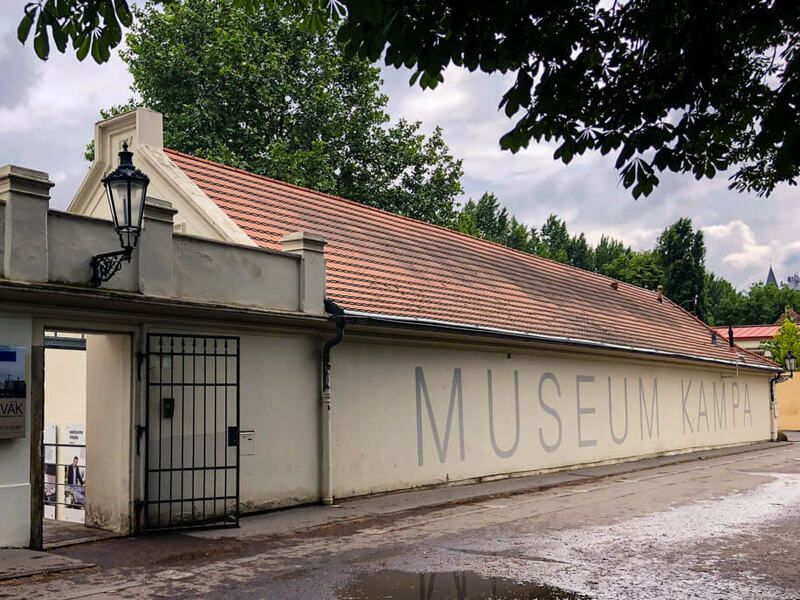 The museum is located on Prague’s Kampa Island. 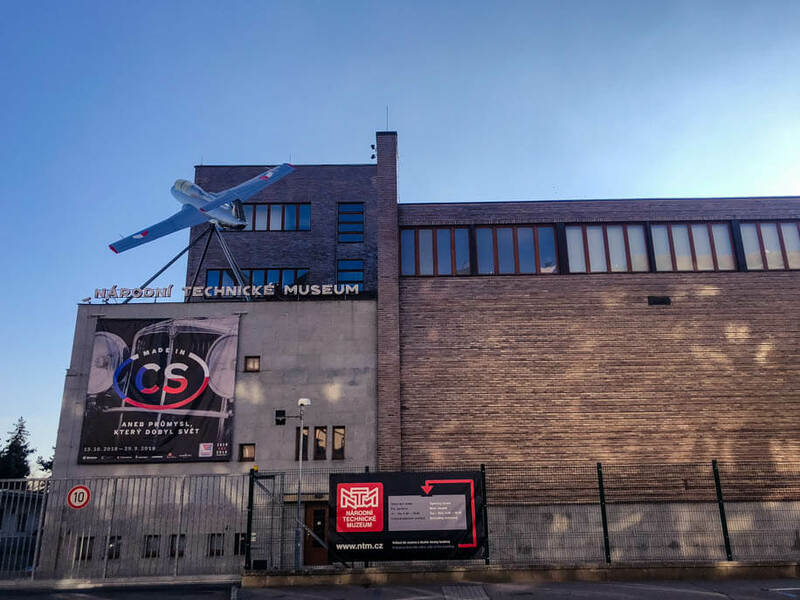 The whole museum exists because of the art collection of Jan and Meda Mládek, who collected the modern Czechoslovak art and supported local artists while in exile. Their unique collection, featuring the likes of František Kupka, was donated to the city of Prague. That’s how Kampa Museum came into being. Check out the website of Kampa Museum here. Pay a visit to Werich’s Villa just 2 minutes away from the Kampa Museum. 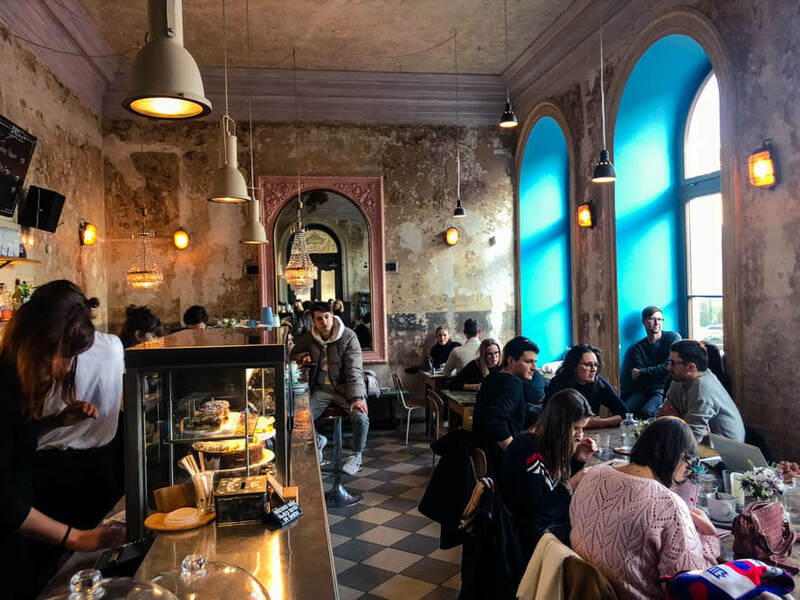 An amazing café & confectionery is located on the ground floor and you can even have a cake created to honor Meda Mládek, the art patron behind the Kampa Museum. The Villa itself is a unique architectural gem and played a significant role in Prague’s culture. One of the most famous Czech playwrights, Jan Werich, lived in the villa. There’s an exhibition about his life and the historical development of the Czech cultural scene in the 20th century. Especially if you didn’t spend any part of your life in a Communist country, the permanent exhibition at the Museum of Communism will help you understand what that was like in the country from 1948 to 1989. Expect quite a few propaganda posters. See the Website of the Museum of Communism here. The whole Square of the Republic is worth checking out. The beautiful Art Nouveau masterpiece – the Municipal House – is located just a stone’s throw away. So is a unique old-school cubist department store Kotva. The Museum is placed in between two other establishments – Cacao Café (highly recommended) and Kolkovna Celnice (a good Czech Restaurant). Do you fancy seeing a secret nuclear bunker right under the Wenceslas Square? The crisis fallout shelter is hidden under the Jalta Hotel right on the Wenceslas Square. Since the space is very limited, you need to reserve your visit. Find details here. If you don’t manage to reserve a spot on your own, the visit to the Museum is also a part of this guided tour. You’re on the Wenceslas Square! Stroll around, and go see the statue of Saint Wenceslas on his horse located in the upper part of the Square, just near the National Museum. The museum mapping the history and tradition of Jews living in Bohemia was established already in 1906, making it one of the oldest Jewish museums in the world. The Museum is dispersed into 4 synagogues, all within a walking distance from each other. 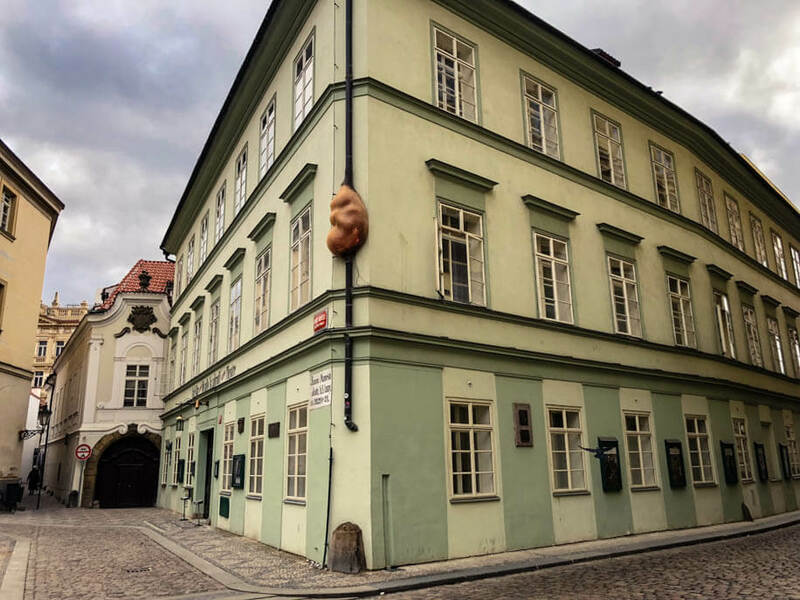 If you’re wondering how come there are so many Jewish sites when Czechoslovakia underwent a brutal Nazi occupation from 1938 to 1945, know this: the Nazis didn’t destroy the Jewish edifices since they wanted to keep Prague’s Josefov as a “museum of an extinguished race”. See the Jewish Museum’s website here. 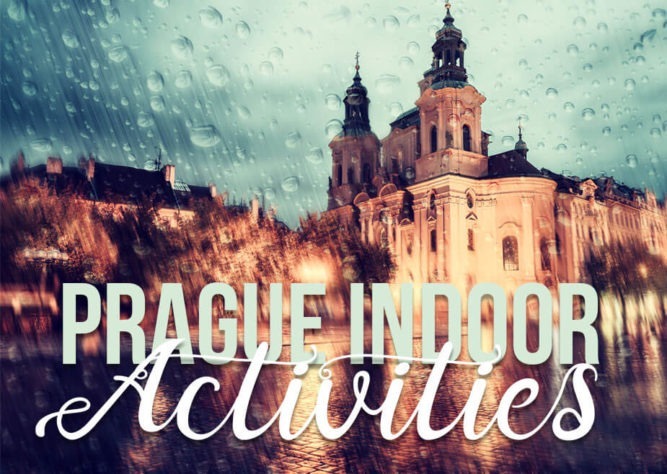 What to do in Prague when it rains? How about admiring historically and culturally important Czech artists? Alfons Mucha was a very important figure in the Art Nouveau movement. The museum displays his posters as well as his life in Paris, Prague and worldwide. This is the only museum dedicated to Mucha in the world. See the Mucha Museum website here. 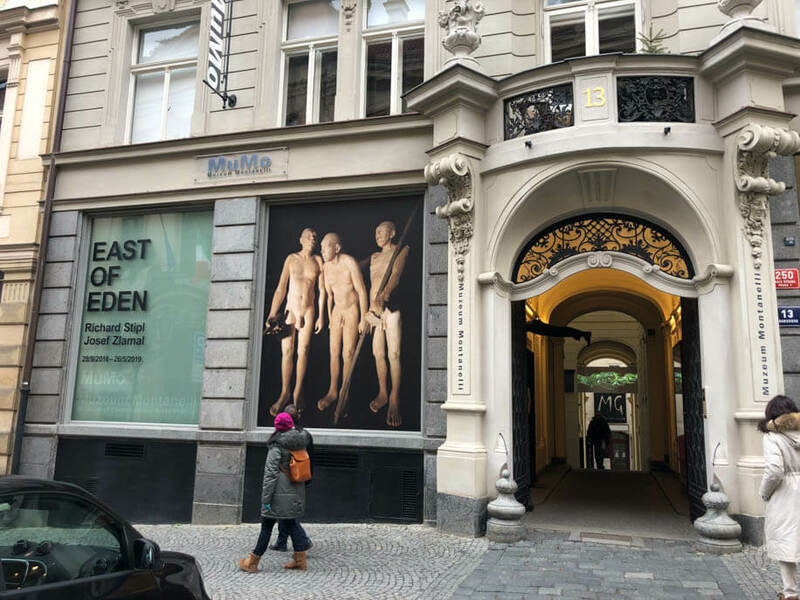 You’re right by the Wenceslas Square and near the Museum of the Senses (see below). Another museum dedicated to another famous Czech. The writer Franz Kafka, who was a German-speaking Czech, became famous due to his short stories and novels. Perhaps you’ve heard of the most famous one – The Metamorphosis. See Kafka Museum’s website here. Right in front of the museum stop to ‘admire’ a controversial Czech artist David Černý’s statue of two peeing men. They piss into a pool in the shape of the Czech Republic. A recently opened privately owned museum of contemporary art is somehow staying off the tourist trails. The museum is run by a foundation and features works of art of both local and international artists. You’re very close to the Prague Castle. If you go up the Street and turn right, you’ll be there in a few minutes. Alternatively, head down and go peak in the beautiful Baroque St. Nicholas Church (there is an entrance fee of 100CZK). Lobkowicz Palace is the only private entity located within the Prague Castle complex. The 16th century palace belonged to the family of Lobkowicz who amassed a large collection of paintings of well-known artists such as Brueghel or Velázquez, ceramics, arms and armor, as well as musical manuscripts of famous composers – e.g. Mozart and Beethoven. See the Lobkowicz Palace Museum website here. The Prague Castle. :) Especially if the weather starts behaving – the St. Vithus Cathedral (often long lines form there) and the Golden Lane are a must. But feel free to leave those for a non-rainy day. Lobkowicz Palace is a museum, a café and a concert hall. 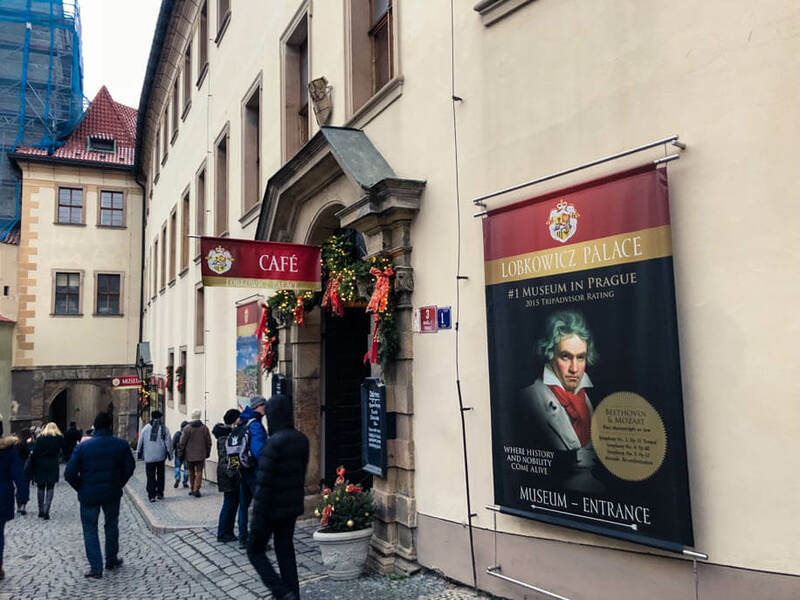 See below why these museums are one of the best Prague indoor activities. A fascinating journey into the world of animated film and the works of Karel Zeman, a famous Czech film director and a pioneer of special film effects that were unheard of throughout the 50s, 60s and 70s. Karel Zeman’s most famous films include Journey to the Beginning of Time, The Fabulous World of Jules Verne and The Fabulous Baron Munchausen. If neither of these rings a bell, don’t shy away from visiting the museum. You don’t need to be familiar with Karel Zeman’s works to enjoy it. The museum will please children and adults alike. It is interactive too – you can not only study some of the special effects, but also see them on a video and try them out. See the museum’s website here. You’re very close to the Charles Bridge, so if the weather allows, go have at least a peak. :) The John Lennon Wall is very close as well, if you prefer that. Karel Zeman Museum – just a few steps away from the Charles Bridge. If you’re a die-hard Apple fan, you cannot leave out this museum! It contains the largest private collection of Apple products – ever! The whole museum is well organized and maps the life of Steve Jobs and Apple. You’ll see nearly a complete portfolio of Apple’s gadgets since the very first large Macintosh computers. The museum is housed in a building belonging to the Center of Pop Art and you can check out part of their posters collection in the cellar under the Apple exhibition. You’ll be given an audio guide as well. Btw. all profits from the Apple Museum go to charity! See the Apple Museum’s website here. 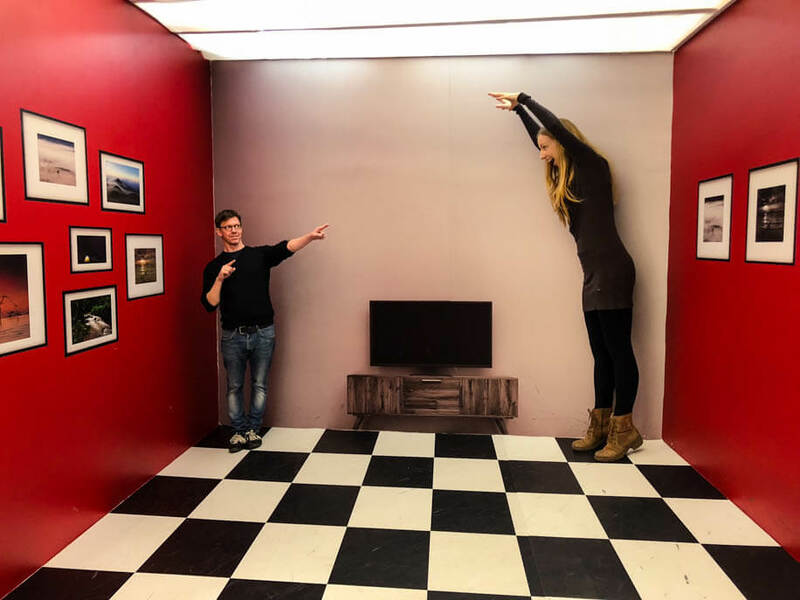 A fun interactive museum that’ll deceive your senses… :) This museum is naturally popular among families but adults will have a great time too. The reality in the Museum of the Senses is nothing what it seems at the first sight! Try out the bed of nails, dance in an infinity disco room, scratch your head at the inverted room and take a photo in a room that shifts perspectives. You’re nearly at the heart of the Old Town, just by the Wenceslas Square. Check out e.g. the beautiful colorful Jerusalem Synagogue nearby or the Henry’s Tower just a few steps away. The bell tower features a restaurant and an observation deck and there are frequent exhibitions. I have not visited this museum and can’t say what the quality is. The reviews are rather mixed. But it’s chocolate, so what’s there not to like? :) Just don’t count you’ll be able to stuff yourself with chocolate, even though the official description mentions unlimited chocolate consumption. Still a decent program for a bad weather day. Prague is a city of art. See how much by going to either of these galleries. Or all of them! Admiring art instead of wondering what to do in Prague on a rainy day? Yes please! The main building of the National Gallery, the Trade Fair Palace (Veletržní palác), is located in the Holešovice District. The permanent exhibitions feature Czech Modern Art since 1930, and also artworks from the time of independent Czechoslovakia between the years 1918 and 1938. See the National Gallery’s website here and also check out their temporary exhibitions. Check out the Café Jedna right at the bottom of the National Gallery. It’s beautifully spacious, bright and the coffee is great. The Prague National Gallery’s building may not look too attractive on the outside but the contents are what you come here for. Rudolfinum clearly stands out among other buildings on the Vltava River shore. This Neo-Renaissance gem houses the Czech Philharmonic but also a large gallery with rotating exhibitions of contemporary art. There is no permanent art collection on display. See Rudolfinum Gallery’s website here. 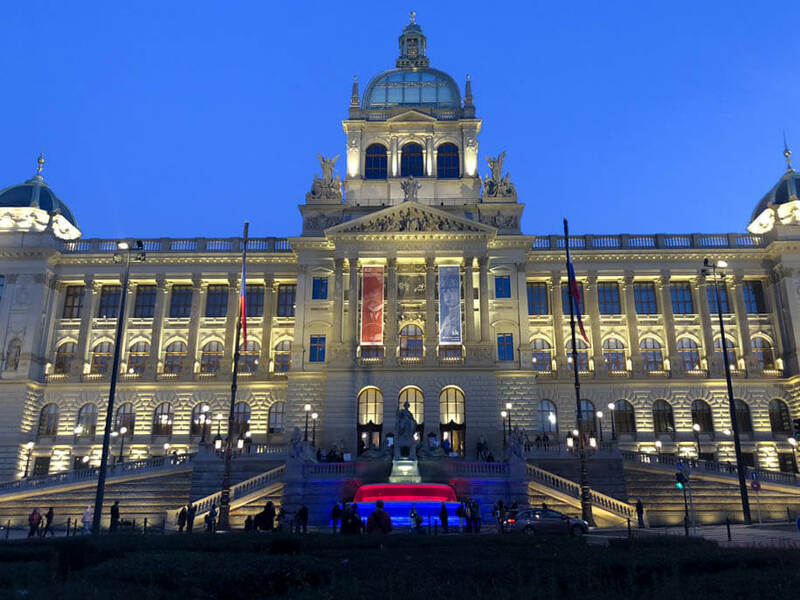 Right in the building a historical café has been reopened – Café Rudolfinum. I haven’t been there myself yet, but the interior surely looks gorgeous. One of the most unique contemporary art galleries in the Czech Republic – that’s DOX. Located in a former factory in Prague’s Holešovice district, the Gallery aims at disrupting visitors’ thinking through a varied ensemble of exhibitions. 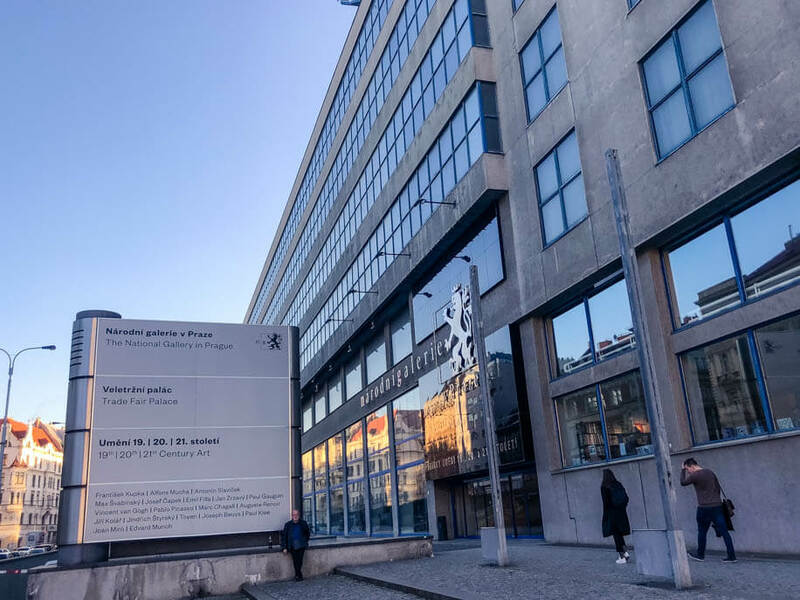 There could be shocking ones and historical ones (such as Václav Havel a few years ago) – anything that fits into a multifunctional cultural center’s repertoire. 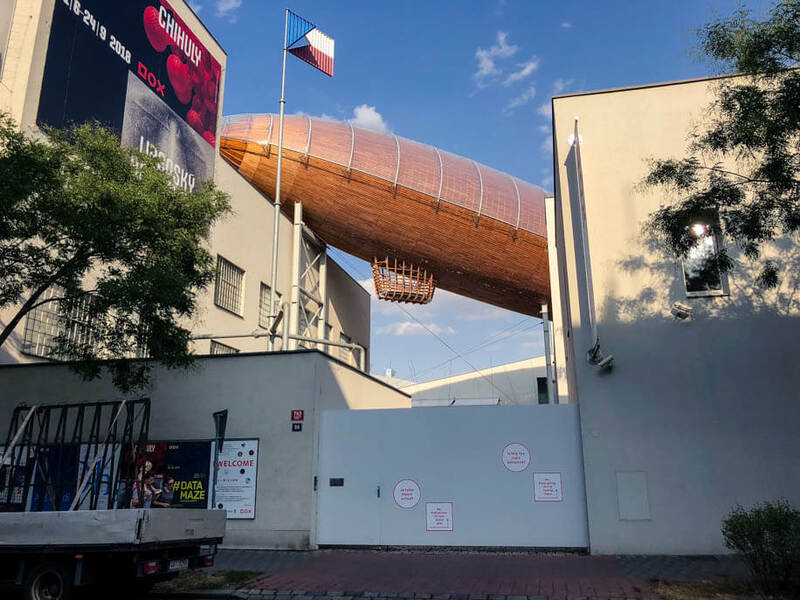 Even the building itself is quite an eye magnet, especially the top – there’s a large airship decorating it and several installations by famous Czech artists, including David Černý. There are two special places within 5-10 minutes of walking distance. You can also take the tram. First, there’s Prague’s only Bitcoin Café called Paralelní Polis. And then there’s Vnitroblock – a fun multifunctional space with a café and a sneakers shop. The Rococo building, one of the dominants of the Old Town Square, is where the Prague City Gallery is based. At the same time, there’s an ample exhibition space in the Kinský Palace. The art presented at Kinsky Palace is contemporary, both from the Czech Republic (or Czechoslovakia back then) and Europe. There have been exhibitions of world-known artists such as Gaugin. See the Kinsky Palace website here. Again, you’re at the Old Town Square. :) You can e.g. pop into the Church of Our Lady before Týn. 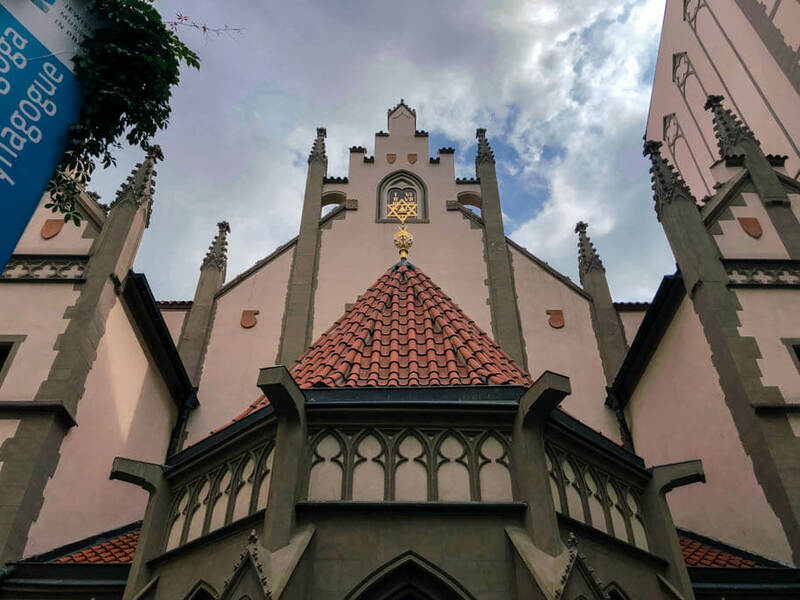 The Stone Bell House is one of the most unique Gothic houses in Prague. Its façade was covered with a Baroque makeover for decades. Since 1988 Prague City Gallery has used it as one of their exhibition spaces. You’ll find it right at the Old Town Square. The exhibitions at the Stone Bell House keep changing and there’s no permanent one. See the gallery website here. There’s plenty of things for you to see at the Old Town Square. But don’t leave the building of the Stone Bell House too fast – there’s a lovely café in the back. Gallery of Art Prague (GOAP) is also located right at the Old Town Square and offers 3 permanent art exhibitions: original prints, sculptures, paintings on porcelain, and woodcuts of Salvador Dalí, Andy Warhol’s “I’m OK“ exhibition and paintings and other works of art by the Czech Art Nouveau artist Alfons Mucha. It turns out there’s a lot of good rain time activities at the Old Town Square. So many that I ran out of recommended things to see around. If you haven’t checked the Astronomical Clock yet, do so now! Another exhibition space belonging to the Prague City Gallery, the Sternberg Palace located at the Hradčany Square houses collections of art from the times of the Ancient Greece and Rome until Baroque. Several floors of the Palace feature also some famous works of artists of the likes of El Greco. See the Sternberg Palace website here. The Prague Castle is just a stone’s throw away. Alternatively, weather permitting, go for a stroll to Prague’s New World Area. 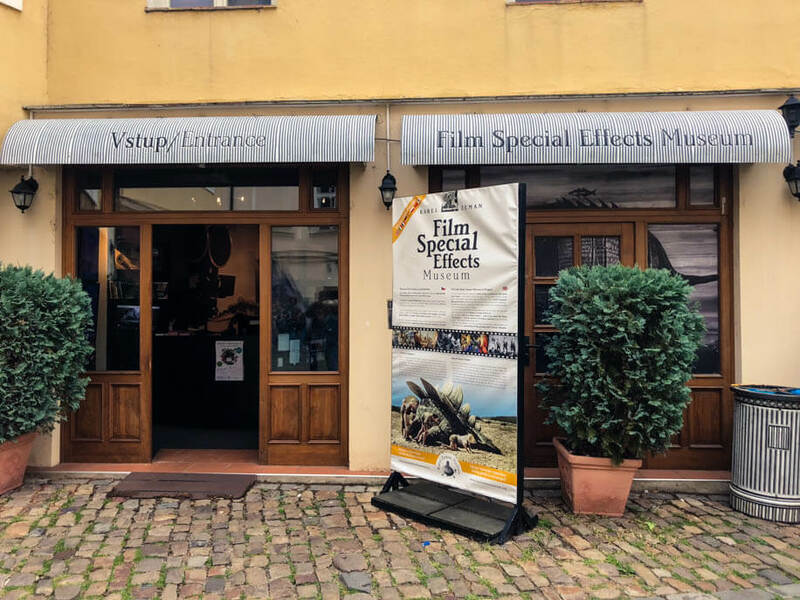 I would say Leica Gallery is Prague’s no. 1 photo gallery. There are rotating exhibitions, usually just one at a time since the space is limited. You can come across contemporary Czech and Slovak photography, as well as selected world-known photographers. In my opinion, admiring local photography is one of the best ideas on what to do in Prague on a rainy day. See Leica Gallery’s website here. Enjoy the cozy Leica Gallery Café located in front. Klementinum National Library is the second largest historical complex in Prague, right after the Prague Castle. What draws visitors to Klementinum in large numbers are the historical parts of Klementinum National Library: the Baroque Hall and the Astronomical Tower. The Baroque Hall comes from 1722, when the whole complex was a Jesuit Convent. There are historical books, incredible frescoes on the wall and a large collection of astronomical and geographical globes in the middle. The Astronomical Tower offers beautiful views over Prague Old Town. Klementinum is often referred to as the most beautiful library in the world! See Klementinum’s website here. It’s highly recommended to book a tour in advance, since they get filled pretty quickly. It’s not possible to visit the library without a guide. Klementinum National Library – the exterior doesn’t do justice to the incredible baroque interior! Another amazing library, this one’s located inside a Monastery complex. The Strahov Monastery was founded in the 12th century. When you enter, a long passage will lead you to two library halls: The Philosophical Hall with it’s ceiling-high book shelves and frescoes decorating the ceiling, and the Theological Hall, which is the most beautiful. The Theological Hall has richly decorated ceiling and walls, even using plaster relief technique. In the middle there’s a collection of globes. While you’re not able to enter either hall, you can take gaze and take photos from the door frame. Don’t forget to check out also the Cabinet of Curiosities featuring e.g. the prepared remains of the now extinct bird Dodo from Mauritius. 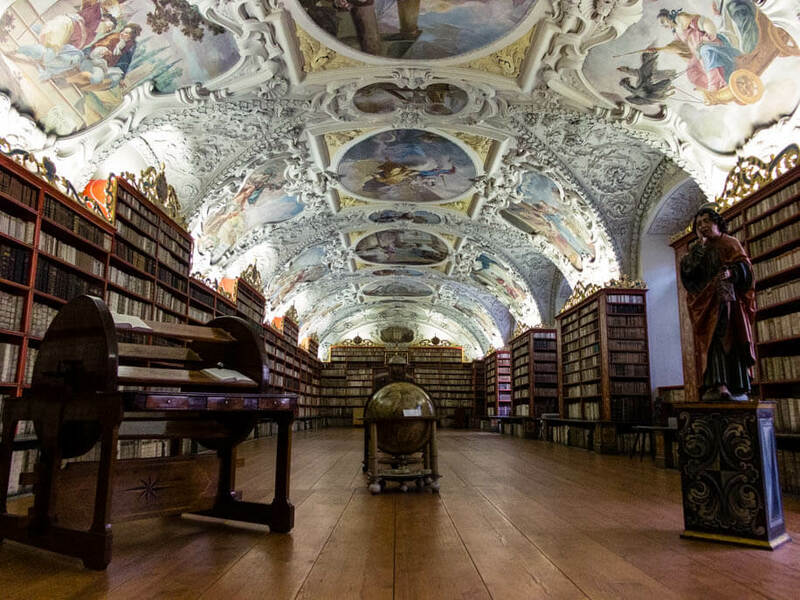 See the Strahov Library’s website here. If you feel like having a bite, stop at the Monastery Brewery. They cook traditional Czech meals and brew their own beer called St. Norbert. Just be aware the prices are high. Actually, you don’t even have to miss out on the sightseeing. You just have to choose a tour where you’ll be covered at all times. There are a few of those, fortunately. This option comes in handy if your time in Prague is limited and you can’t adjust your schedule. 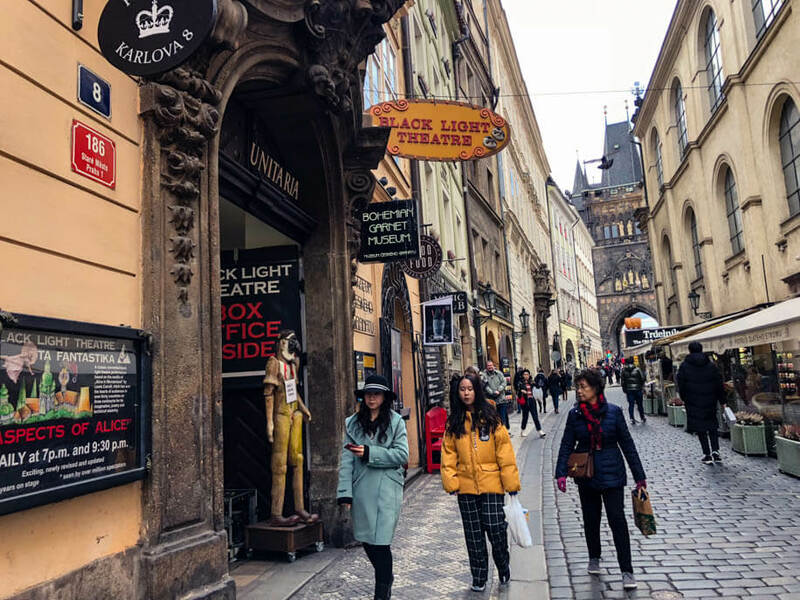 This short tour is more of an orientation tour, to get a feel of where the main sights are in the city and to learn the basics about Prague and the Czech Republic. You’ll receive an audio guide available in many languages. Spend some quality time with beer and you won’t even notice it’s raining in Prague. 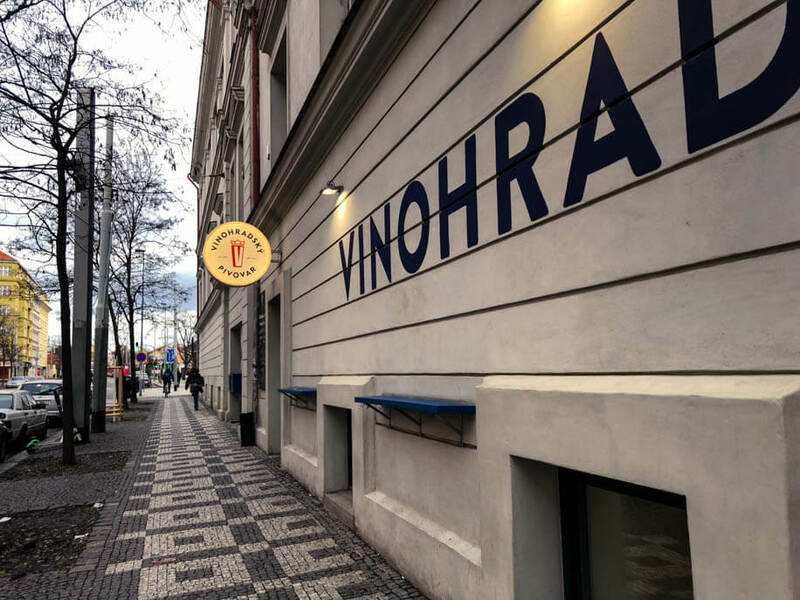 It turns out there’s a new beer museum in Prague! I only learned about it when researching this article. You can learn all about beer making’s history and even bottle your own beer! Tasting is included too, of course. If you wish to become even more of an expert on Czech beer, check out this tour. There’s only one traditional brewery located in the city of Prague: Staropramen. And you too can go take a peek in the brewery, see how the liquid gold is produced and taste its fresh Staropramen lager! Please note that you won’t be allowed inside the actual brewing rooms, but rather just to a Visitor Center inside the Brewery. Or go directly to the Brewery’s website. I don’t know about you but soaking in warm beer sounds much better to me than fighting Prague rain. You don’t have too much choice in Prague if you want to bathe in beer. Beer Spa Company offer basically the only beer spa treatments in the city. Prices are on the higher end. Since Prague is modern and developed, there’s plenty of cafés to fit anyone. Café Slavia – a historical café with a live piano music, located on the edge of Prague’s Old Town, just by the River. Large windows make it ideal for rainy weather. Café Louvre – another beautiful historical café, complete with pool tables, located on the edge of New Town. Grand look of times long gone by. Café Imperial – located in a stunning Art Nouveau building, a café and a restaurant owned by a celebrity Czech chef, located in the New Town. Cafefin – Vietnamese café and a bistro, located in Vinohrady, always busy! Momoichi – Japanese café, complete with Japanese toilets :) Located in Vinohrady district. Café Neustadt – a nice café in the courtyard of one of Prague’s towers. Located in New Town. 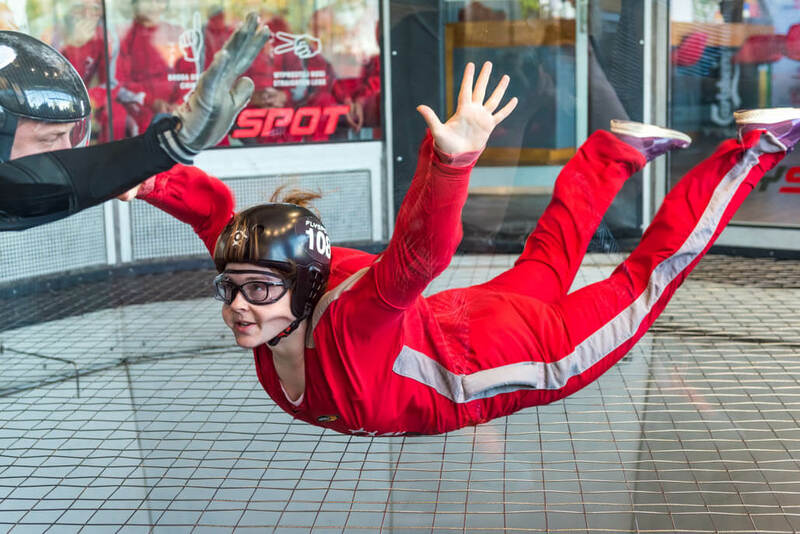 Yes, you can safely skydive in Prague without having to jump off a plane – after all, that wouldn’t be fun in a heavy rain, right? There is exactly one skydiving arena in Prague, it’s called the Hurricane Factory. You can book your experience on their website and get there by yourself. However, if you don’t have a car it’s a bit out of the way. You need to take a bus to a stop called Tupolevova (find connections here). Alternatively, you can pre-book a tour and be taken there from the city center. Racing in a go-kart in a covered heated hall also sounds like another pretty awesome solution to rainy Prague, doesn’t it? An indoor go-karting track that claims to be the longest in Europe. If you choose to get there by yourself, take a bus to a stop called Přeštínská (find connections here). It’s still a good 10-minute walk to the go-kart center, though. On their website they keep an updated calendar of availability. I would strongly suggest booking a tour where they’d pick you up from your hotel and take you to all the way to Radotín. Especially if the weather is particularly nasty. Find the tour here. The price is per group. Praga Arena is another go-karting track located about the same distance from the city center, just in the opposite direction. It claims to be the largest one in Prague. 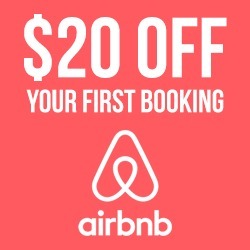 You can make your reservation online on the company’s website. Again, getting there without a car might be a bit of a challenge. You need to take a bus to a stop called Vojická (find connections here). I’d rather recommend you a tour, for which you’ll be picked up at your hotel. Unlike the one at the previous go-karting arena, this one can be paid per person. See the tour here. 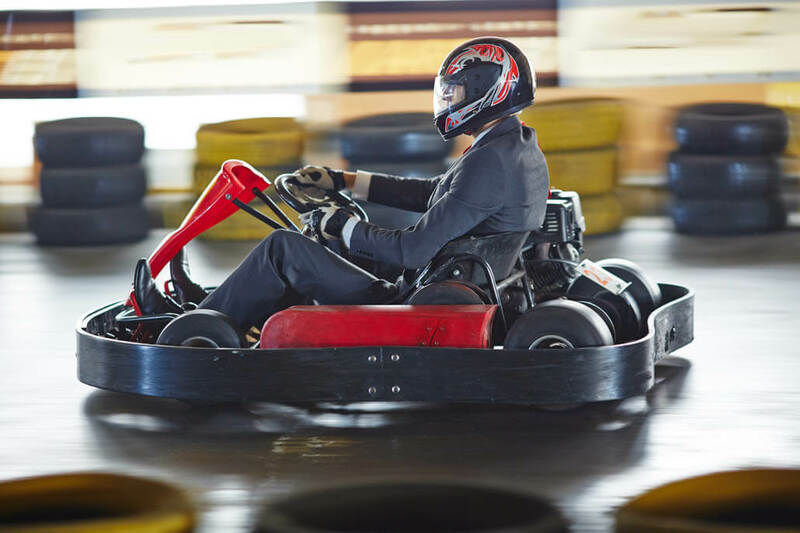 Go karting is fun and in Prague you can choose from two tracks. Prague is undergoing a boom of escape games. Most of them focus on Czech clients, but there are quite a few escape games in Prague that cater to foreign visitors too. Since Prague is so advanced when it comes to escape rooms, there’s even a website that reviews them. Find it here. Their escape games are top-notch, and the prices are on the higher end too. Some of the games that you can play include “Hacker’s Nest”, “The Dungeon”, “The Haunted House” and “The Mysterious Office”. You can make a reservation on their website. These guys also offer a few high-quality escape games. The main ones are “Communist Czechoslovakia”, “Semtex Code”, “Devil’s Bible” and “The Holy Grail”. 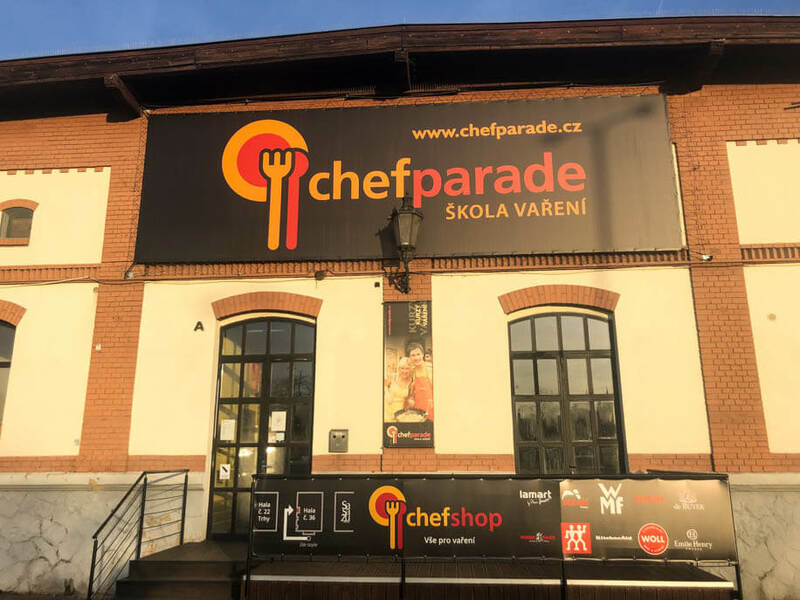 Both of these companies were recently covered in the Czech issue of the Forbes magazine and their business is booming, so that confirms the quality. This fun dark mini golf adventure is another activity I took my parents to when they were visiting Prague and it was raining heavily. We all loved it. 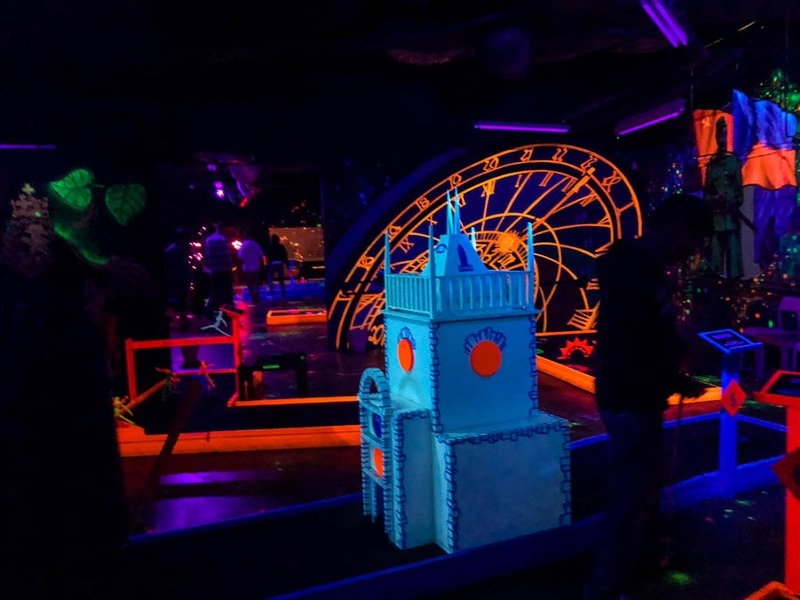 Playing Prague-themed mini golf in the dark? A great idea for a rainy day! 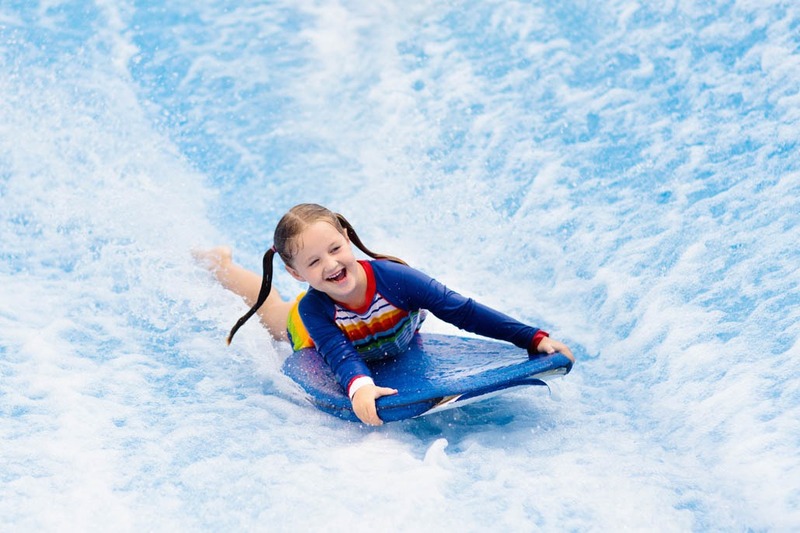 It’s one of the experiences I have yet to try myself, but it looks incredibly fun! You can make a direct reservation through their website – first by buying a voucher and then by selecting an available date. Please bear in mind that similar to the skydiving tunnel, the surf arena is also located way out there. To get there by public transport, catch a connection to the bus stop Tupolevova (find connections here). This is the only time when I don’t recommend you book the experience on GetYourGuide platform, since I called up to the Surf Arena to ask whether they arrange transport and was told the listing on GYG is obsolete. Unfortunately you can’t just show up at any theatre, because the smaller ones often have performances only in Czech and with no subtitles. There are a few theatres, though, where you can find an English performance or at least a Czech one with subtitles. As for what to wear to a theater in Prague – you don’t need to dress too formally, even though jeans can be a no-no in a venue such as e.g. the National Theater. 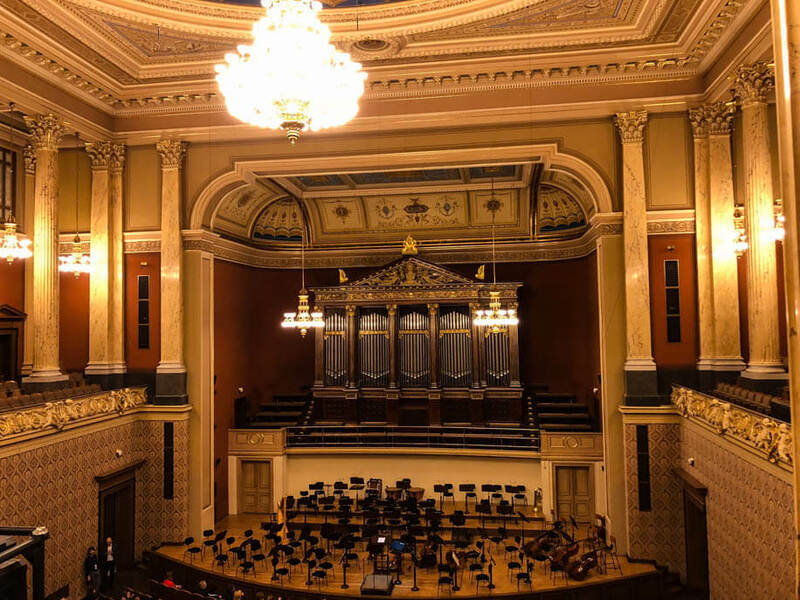 Rudolfinum is not just a gallery, it’s also a concert hall. And the base of the Czech Philharmonic Ensemble. Concerts are held in Dvorak Hall and Suk Hall. 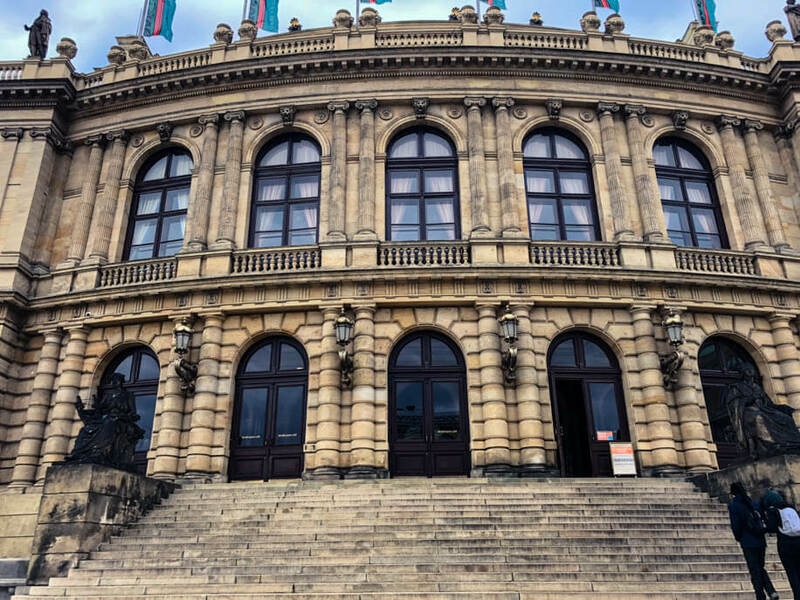 See Rudolfinum Concerts overview here. 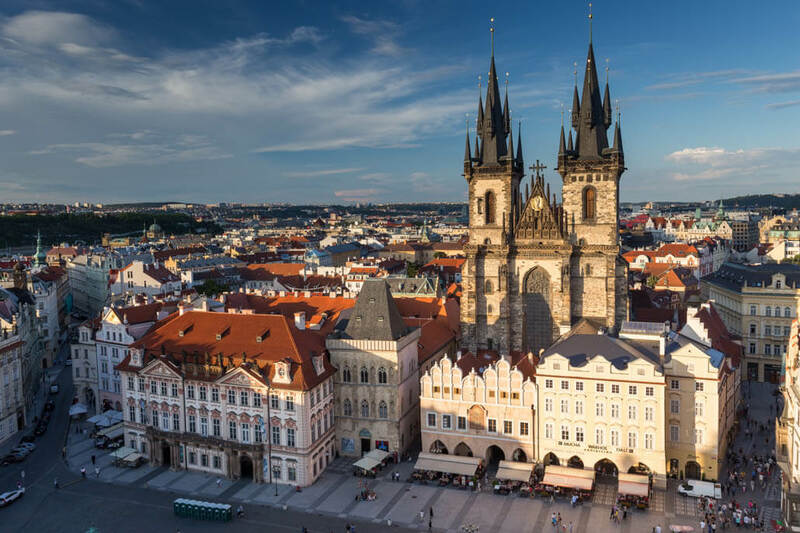 You can attend a classical concert at the St. George’s Basilica in the Prague Castle Complex. The venue is extraordinary. Dress warm, though, since there’s no heating inside. Also, since the venue is located inside the Prague Castle, allow extra time to get in. There could be lines. 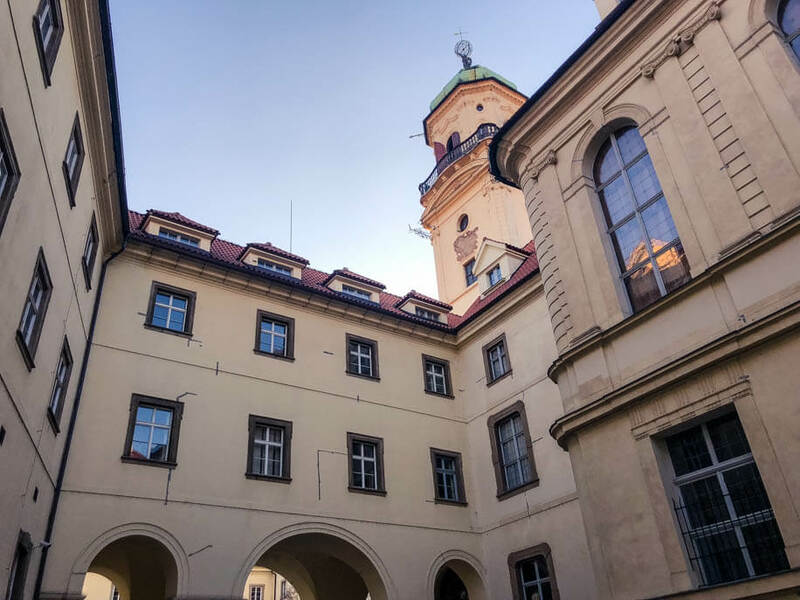 There’s one more building in the Prague Castle complex where you can come for a musical performance – the Lobkowicz Palace, which is a museum as well. They offer midday concerts of classical music in a small baroque concert hall. You can choose between a ticket to the concert only, or a ticket covering also the entrance to the Lobkowicz Palace Museum. The stunning baroque church of St. Nicholas in the Lesser Quarter holds organ concerts regularly. See the St. Nicholas Church Concerts schedule here. Czech Republic’s and Prague’s major stage and one you shouldn’t miss out on – that’s the National Theatre. The main building located on the river bank is a national jewel and well worth just taking a photo off. You’ll often see it from various viewpoints thanks to its golden roof. All of them play a mix of drama, ballet and opera. See the National Theatre’s website here. And here’s the program spanning all the National Theatre’s buildings. While Hybernia Theater doesn’t offer English performances, there are often such ones that don’t require any words – e.g. ballet. Here’s a link to Hybernia Theatre’s program. Their website is not in English and you can pre-book more easily using e.g. GetYourGuide (see links below). Dancers from the National Theatre perform both of the above plays. I went to see the Nutcracker in another theatre and liked it very much. Since there are no words, it’s best to read about the story a bit first so that you know what’s happening on the stage. A nice theater in the Smíchov district, often featuring theater plays with English subtitles. See the theater’s website here. One of Prague’s most noteworthy theaters, the Theatre on the Balustrade focuses on ‘intellectual’ performances. It’s in this theater where they often play the works of Václav Havel or other remarkable playwrights of the Czech modern history. You might wonder what that strange thing on the the theater’s façade is. It’s a heart. The artist behind is the Czech David Černý. You can see the program here. English-friendly performances are listed on the right. A small theater in the Lesser Quarter hosts the Fringe Festival every year and outside of the Fringe season there are usually foreign groups performing, so you can often catch performances in English or e.g. in French. You’ll have to read through the program to find out about the language of each performance. The website is in Czech, but some of the performances info is written in English too. Find it here. One of Prague’s numerous musical theaters, this one is located in Karlín and many of its plays are with English subtitles. Quite a number of famous Czech actors regularly appears in the performances. Try out e.g. Dracula, Carmen or Jesus Christ Superstar. To confirm whether a performance has English subtitles, check the description of each play. Jatka78 is a multicultural space made from a former butcher’s. There are theatre plays nearly every day of the week. The plays are either in Czech only, or no language is used. Check the current program here. Theatre performances where you sit in the dark and the actors on the stage play with the lights. These types of performances are non-verbal, so whichever language you speak, you’ll understand what’s going on on the stage. Alice in Prague: Alice in Wonderland grows up and explores Prague :) You’ll also have a chance to join an interactive workshop afterwards (free). Prague’s Mysteries Light Art Show: A story of Prague uniquely painted by light and accompanied by music. You’re welcome to join a light-painting workshop after the performance (free). How about turning your day from crappy to exciting when heave rains hit Prague..? Burlesque can have that effect, if you’re open-minded and enjoy such type of shows. Nothing distasteful, but a lot of fun – that’s Prague Burlesque. I went to one of their performances and loved it! The shows take place exclusively in the Royal Theater – an old school Czech theatre in Vinohrady. See Prague Burlesque’s website here. You need to book your tickets in advance. Kino Lucerna – Legendary old-school movie theatre located in a passage of the same name, Lucerna will strike you with their historical Art Nouveau interiors. 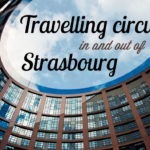 It’s located in the city center, right off the Wenceslas Square. Světozor – Located just opposite from Lucerna, Světozor is another small and special artsy movie theatre. 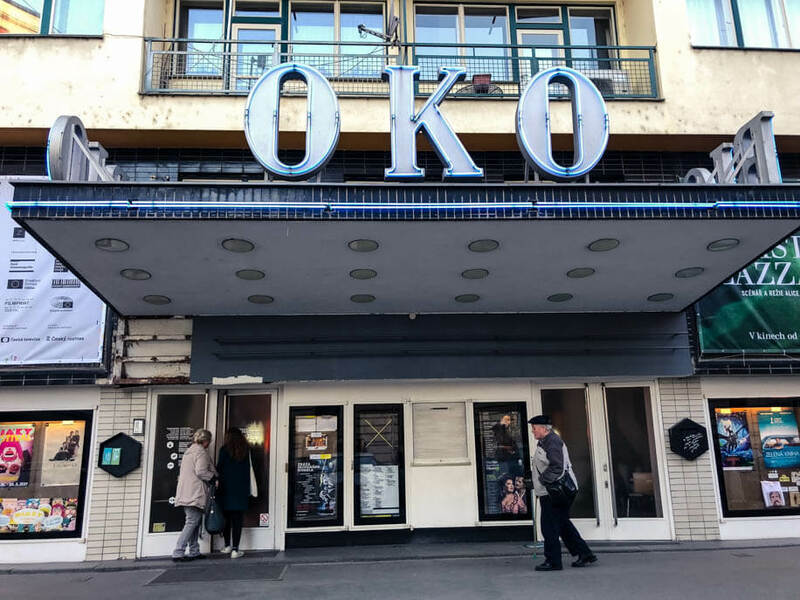 Bio Oko – Another independent movie theatre, located in Prague’s Letná district. It features a large bar and funky chairs – you can even watch a movie from a sunbed! Often there are classic Czech movies with English subtitles. Evald – a small artsy movie theater located on Národní street in the Old Town, Evald too has a restaurant and a bar. Sometimes there are even Czech movies with English subtitles. Prague Rain can be easily overcome if you’re in a nice warm sauna. Prague, despite not being high up in the North, is nothing short of sauna-rich. Most of the saunas in Prague are fully indoor, with a few that have an outdoor relaxation space too. The oldest sauna center in Prague, Infinit has developed into an all-encompassing water experience world, with a number of swimming pools and a spa. Infinit is located in the former Step Hotel and can be reached easily by car. Saunia has opened several sauna branches in Prague’s various shopping malls, such as the one in Nové Butovice, Chodov and Černý Most. Saunia’s website is in Czech only, find it here. Where else to spend a rainy day in Prague than around steaming pots? They have many of those at Chef Parade. Btw. I found a fellow travel blogger’s account on a Chef Parade Cooking Class and I think it greatly portrays the experience. You can read it here. When researching for this article, all other cooking classes I found in Prague were either in Czech or not focusing on Czech cuisine at all. I’ll update this post if some new ones pop up. Behind these doors is where the magic happens: Cooking classes! 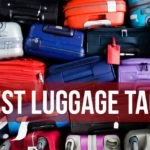 Look, I didn’t promise you the list would feature only things we locals do… Right? Ok, so here are a few suggestions for folklore and medieval dinners. All sheltered, so you won’t get rained on. As a traveller with no friends or relatives in a Czech village, your only option to experience the local folklore is to join an organized folklore event. Truth be told, as a local I wouldn’t go to an event like that, but that’s because I’ve experienced Czech, and especially Moravian, folklore locally, in the countryside. However, I chose the best-rated folklore experiences in Prague for you. All feature transfers from and to your hotel, which is ideal in rainy weather. Enjoy a fun folklore evening at a traditional restaurant in Prague, eat to your heart’s content and enjoy unlimited drinks. Transfers are included. The Folklore Garden Party is located in a sheltered garden and the experience is more hands-on. You’ll be able to try out some of the costumes and participate in the festivities. Seating is on benches and mingling with other guests is easy. Of course not with the composer himself, but you can enjoy having a dinner while listening to Mozart’s genius music. In a mesmerizing baroque ballroom. If you choose to go for this experience, you’ll need to dress up for it. While normally I wouldn’t recommend you to go anywhere near water when it rains, it turns out there are enough covered boats on the Vltava River in Prague. You can cruise, dine and listen to some wonderful music. You’ll see just a bit of Prague from the boat and a lot of time will be spent in locks. That’s just how it is with the Vltava. But fear not, you’ll have other entertainment on this type of cruises. I’ve double-checked and all the tours below are in boats that have an inside space. Still, if you expect rain, make sure you book seats inside the boat. If you’re not prompted to choose during the reservation process, mention it in the notes section. Even though it’s on the outskirts of Prague, Troja Botanical Garden is worth the extra effort in getting there. 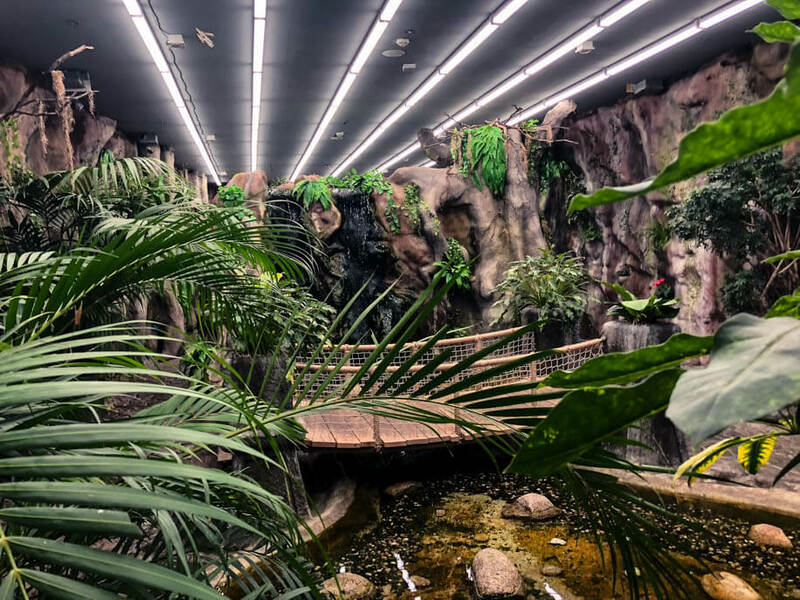 Focus on the Fata Morgana greenhouse – it’s a stunning tropical jungle experience. Getting There: Bus – Botanická zahrada Troja (112), but some 10 minutes walk is still needed (a car is better)! The Zoo! But preferably if the weather turns good again, since most of the expositions are outside. If you’re reluctant to head out of the city center, the Albertov Botanical Garden belonging to the Faculty of Science of the Charles University will do just well. The Garden has a few smaller greenhouses with tropical plants. See the Albertov Botanical Garden’s website here. Within less than 5 mins walk there’s the Emmaus Monastery, a unique looking abbey from the 1300s. Similarly warm as the above-mentioned botanical gardens, Papilonia too will transport you to a tropical jungle. Here it’s all about butterflies, though. You’ll enter a relatively small enclosure and will be able to witness all kinds of butterflies – some just chilling, some feeding, some floating around. You’ll have to leave your outer garments and bigger bags outside the enclosure. The Butterfly house is located inside the Hamley’s Toy Store, on it’s -1 floor. Another good option to find events in Prague is Go Out. Palladium: Set in a building that used to serve as barracks, this small yet extensive shopping mall should cover all your shopping needs. Across from Palladium you’ll also find a department store housed in a unique socialist building. Nový Smíchov: Just by the metro Anděl there’s the large mall called Nový Smíchov. As mentioned above, there’s even a movie theater inside. That’s it for now. I still have a lot more ideas I want to add, including what to do in Prague with kids when it rains. 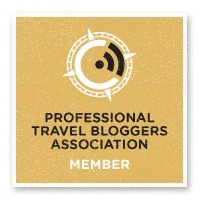 So if it starts pouring when you’re on your Prague trip, don’t be sad and pick an activity or two from my crazy long list!